Hi, my name is Tyler and I took over Poopie Palz to help pet owners and pet related businesses in keeping their surroundings poop free. Throughout the years I have met many families that love their pets more than anything but they don't necessarily want to or have time to pick up after their dogs. 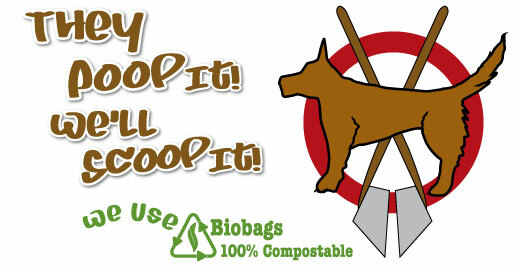 I'm all about keeping our planet green and I love all pets and that inspired me to start Poopie Palz. I use only biodegradable waste bags and my equipment is cleaned thoroughly after each cleanup to prevent cross contamination. My pooper scooper service is available for North Shore, Northern and Northwest areas of Chicago. We offer once a week, twice a week and every other week schedules. If you think you need cleanups more or less often we will definitely help you with that. We also offer one time cleanups (for waste accumulated for less than 30 days) and spring clean-ups for BIGGER accumulations. No contracts! Simply you call us when you need us. If for some reason you want to discontinue your service simply give us a call and we will refund you for any prepaid (if you had any) services. No need for you to be home. We come, clean and leave. We always close gates (if any) behind us to make sure your precious friend will not have a chance to run away. After every completed cleanup we send you a text massage to let you know that we were just at your property. You know exactly what time we were over and there is no unnecessary door hangers to junk your house. Easy payments. You choose how to pay. We offer invoices with monthly payments, online payments, 3 month prepays that saves you 10% and automatic monthly charges so you have one less thing on your mind. Payments are due on 10th of every month. We accept checks, Visa, Master Card, American Express, PayPal, and Chase Quick Pay. Our boots and tools are disinfected after each service to prevent any spread of unwanted parasites and diseases. Once a month our clients get spoiled by receiving "goody bags" filled with treats and love.